So yesterday and into today was rather gloomy so I decided to start the week with a nice bright photo. 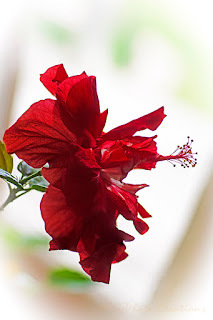 I shot my Hibiscus which is a Double Frilly type against the window last week for a high key effect. It is actually a stack of 2 images for better focus.